Sweet pea ‘Painted Lady’ has a history that goes back to the 18th Century (1730’s in fact) I don’t know of an historically earlier sweet pea…so we are safe in saying that it is ‘old school’. 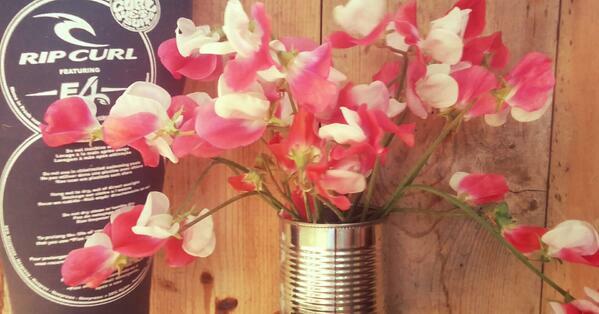 As a rule the older varieties of Sweet Peas have strong scent whereas the newer varieties have been bred for colour. 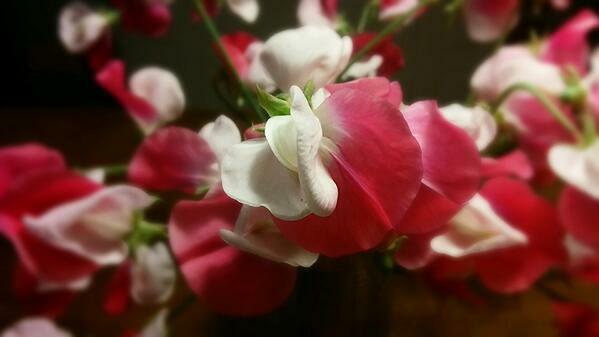 For cut flowers I think Sweet Pea ‘Painted Lady’ is one of the best…the stems are strong and of a medium length…they last well in the vase and also have wonderful colour….well….if you like pink. The flowers are bi-colour…a delicate almost white pink and a deeper Hubba-Bubba pink. This year I am going for the casual ‘slung in a can’ look which will soon be all the rage in the provinces. Keep harvesting the flowers and they will keep coming for yonks. Naturally I believe my sweet pea seeds are the best in all of old England…and I have ‘Painted Lady’ seeds at £1.95 for 20 of the little beauties. The RHS have a good guide to growing sweet peas if you need it. Autumn is also a great time to sow some Hardy annuals.